Bob Hart and the rest of the staff at Vallejo III Inc. believe that horsemanship is key to successful training in any division. Bob Hart is a second-generation horseman, with father, Bob Hart Sr. regarded as one of the greatest horsemen of the century. 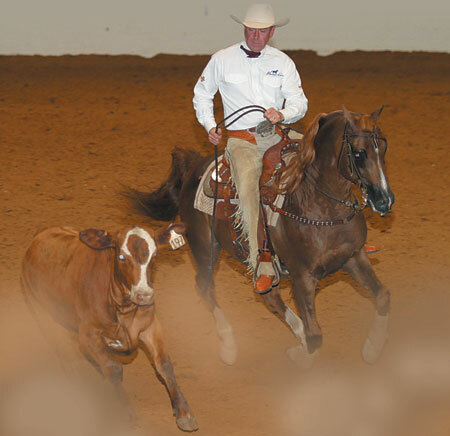 Bob Hart Jr. has found success at the National level in the English, Reining, Working Cow, Halter, Park, Driving, Hunter and obviously Western divisions. At Vallejo III Inc. we welcome horses of any age and training level into our program. We believe in taking our time and building a relationship with the animals, as well as their owners. We take horses into our program on a 3-month trial basis then do an evaluation with the owners and discuss the next step in their horse’s careers. Our techniques have proved themselves over and over with our numerous Nationals Championships in youth, amateur and open divisions. We are more than happy to answer any questions you might have regarding your horse, as well as out training program and any other amenities we offer here at Vallejo III Inc.
Bob Hart, Jr. is known world wide as the premier trainer of Arabian Western Pleasure Horses. In as much as Bob being a great horseman and trainer, he is an excellent clinician as well. Bob has provided a wealth of knowledge to groups world wide. Contact Vallejo III for clinic dates and locations or if your club or group is interested in contacting Bob about conducting a clinic in your area. Be sure to book your clinic early so that you can have plenty of time to advertise.